The Glacier Dynamics Group at the University of Idaho reveals the factors controlling the motion and rapid mass loss of glaciers and ice sheets. Our approach to research is fundamentally interdisciplinary. We draw on seismology and other geophysical techniques to understand glacier dynamics, including iceberg calving, water flow through glaciers, dynamic thinning, and the ice flow response to variable glacier hydrology. Through theory and numerical analysis, we test explanations for our glaciological observations. This work is motivated by the need to understand rapid glacier change, its impact on sea level, and on landscape change. processes that act on and shape the earth’s surface. The Glacier Dynamics Group is led by Dr. Timothy Bartholomaus in Moscow, ID. Dr. Bartholomaus is a glaciologist, geophysicist, educator and Assistant Professor. He was formerly a Research Associate and Postdoctoral Fellow at the University of Texas Institute for Geophysics, in Austin, TX. 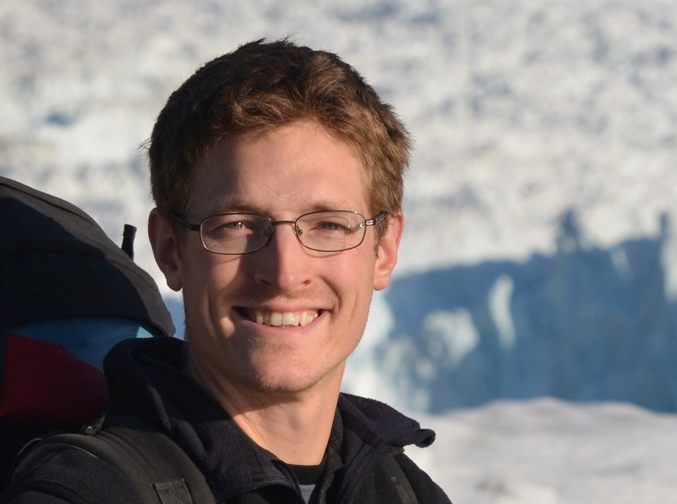 He received a Ph.D. in Geophysics from the University of Alaska in Fairbanks in December 2013, completed a master’s degree at the University of Colorado Boulder, and a bachelor’s degree at Dartmouth College.